Patients with lung cancer and their caregivers can now call a toll-free number to receive emotional support and answers to some of their questions about life after diagnosis and maximizing quality of life. 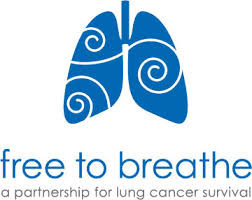 The free hotline is run by Free to Breathe, a lung advocacy organization. Cheryl Petersen, the program director and main contact on the support line, explained to CURE that patients with lung cancer often have a hard time connecting with someone who understands their condition. To help ensure that the hotline is as helpful as possible for those affected by lung cancer, Free to Breathe conducted research and interviews using patient and caregiver perspectives to guide the program’s design. Patients and caregivers alike stressed the importance of education about the condition. Many respondents explained that the level of distress they faced at the time of diagnosis precluded them from internalizing much of the information they were given. The most requested information surrounded the following topics: lung cancer diagnosis and treatment; molecular testing; second opinions and centers of excellence; and clinical trials. Another area of concern identified by Free to Breathe was the relatively weak support structure for caregivers. They specifically requested guidance on how to care for loved ones in the best way, concrete ideas for what they could do to help their loved ones, ways to discuss important topics about care when the disease progressed and reminders of the importance of self-care and a healthy lifestyle. Each member of the Free to Breathe staff who answers phones undergoes training to ensure that callers receive a consistent level of support. The staff does not provide any medical or nursing advice, but rather encourages patients to consult with their health care providers in regard to any issues related to their health. Patients and caregivers can call the support line at 1-844-835-4325. It is staffed Monday through Friday 8 a.m. to 4 p.m. CDT (9 a.m. to 5 p.m. EST).